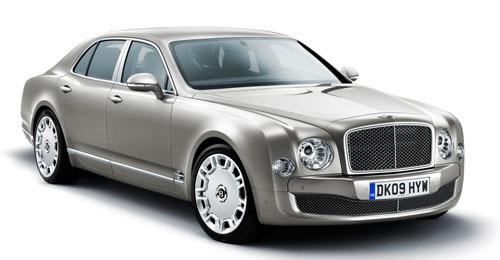 After spreading many teaser pics, Bentley finally took the wraps off their new "over-hyped" flagship: the Mulsanne. 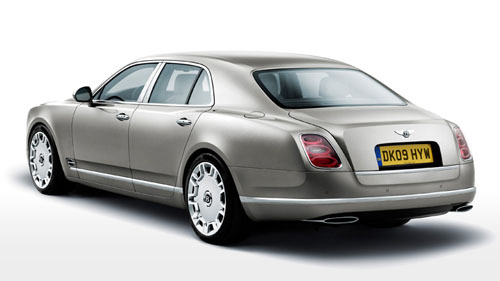 The all new Bentley made its public debut at the 2009 Pebble Beach Concours d'Elegance and will go on sale from mid 2010. We refrain ourselves from any comments on the design, because the online audience has already spoken. Here are some random quotes from various weblogs. "Overall shape, very Bentley. but and a big BUT, that front looks like a linger. Change it please." "If the badge was missing I would think: Made in China..."
"I guess the economic downturn forced Bentley to join forces with Geely and have let them do the design." "Bentley's moving away from the whole pheasant shooting clientèle.... and further into mediocrity in my opinion... Porsche Cayennes are meant to be all premiership, not this kind of thing." "Whipe that ugly grin of your face!" "As for the Bentley’s front end styling, well, seventies Stutz Blackhawk anyone?" "Why are designers nowadays having such a hard time with car front ends? What’s with the hard-to-look-at headlights? Freed up by LEDs, the designers have simply lost their way with too much “choice” in terms of shape." "Those lights look like my shower drain..."
Well, enough said. We get the message. 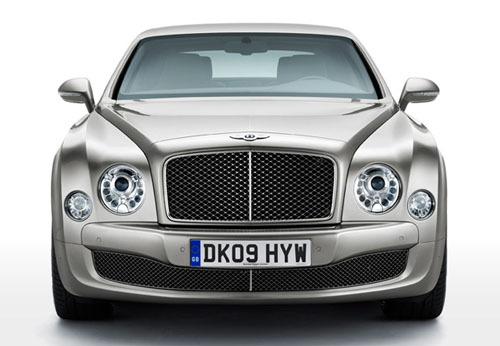 Luckily, almost instantly, many creative blog-visitors started loading the Mulsanne images into Photoshop to show the world their own modification proposals. We invite you to do the same! How, according to you, should the new Mulsanne look when it goes on sale next year? Download usable images from our forum and upload your own creations there.